Please make sure you get a confirmation email after you order. If you do not receive one immediately after you placed your order, then your items are still in your cart and your order is not complete. Thank you Mountain Fresh Creamery! A HUGE thank you to Scott and Jennifer Glover for taking time out of their busy day to give us a tour of their dairy farm and creamery. The kids really enjoyed seeing all the cows especially the baby cows. It was a fun experience to see all the cows walk up to be milked! Happy cows definitely make great tasting milk!! BeeBerry Farms is planning what they should grow the next several months. If there are items that are not currently on market that you would like to see please let us know. I will compile a list a send to Kevin at BeeBerry Farms. They appreciate your feedback! Blueberries and Blackberries will be gone soon! There are about 2 more weeks until blueberry and blackberry season will end. Now is a great time to stock up on this year’s harvest. Blueberries and blackberries can be frozen and stored easily. How wonderful it will be to reach into your freezer during the cold winter months and enjoy summer berries! Get them before they are gone! My Daily Bread will have them listed on the market tomorrow morning. Another great request from a co-op member! I found these very sturdy milk carriers from Yesteryear Homewares to make carrying glass milk jars much easier. It also keeps the jars separated so they don’t bump up against one another and possibly break. These are made in the USA and hold 2 half gallon mason jars. The market will open up tomorrow morning (Friday) for ordering and close at 5pm on Sunday. This weekend we will have our monthly Group Buy for Green Pasture products (Fermented Cod Liver Oil, High Vitamin Butter Oil, Skate Liver Oil, etc. All currently available products (as of today) will be listed on the market site tomorrow for ordering. Right now the Green Pasture website shows they are out of all Blend gels except Chocolate. I contacted Dr. Ron’s Ultra Pure and we can get Cinnamon Tingle and Non-Flavored through them at a discounted price that is close to what we get if for from Green Pasture. The prices include our discounted group buy price, shipping, fees and taxes. This will NOT be available for pick up on Tuesday. I will place our group order on Monday and expect it will be available for pick up within 2 weeks. This is a prepaid preorder, so payment is expected this Tuesday. If you are only ordering Green Pasture products this week, please drop a check in the mail or online payment on the co-op market website. If you are new to the co-op and/or Fermented Cod Liver Oil, I have a section at the bottom of this weblog that discusses the benefits of this amazing product. 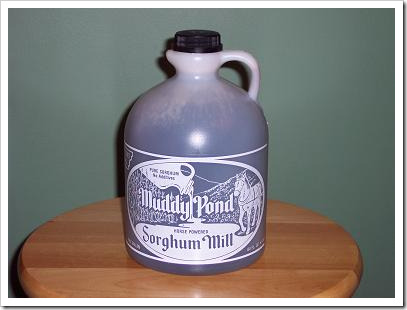 We are also taking orders for Sorghum Syrup from Muddy Pond Sorghum Mill. One of our fellow co-op members told me about this wonderful small family farm in TN that produces 100% Pure Sorghum Syrup. If you are unfamiliar with sorghum syrup, it comes from a plant usually called “sweet sorghum”. This plant is grown in climates too hot and dry for corn. It originated in Africa before traveling to Asia, Europe, and North America. Other varieties of sorghum are grown for grain or livestock use, but sweet sorghum has a juicier stalk. Sorghum syrup is made by cooking down the juice from the stalk causing the water to evaporate thus concentrating the syrupy sweetness. Sorghum syrup retains all minerals. The nutritional profile for a 1 tbsp. serving of sorghum syrup comes to 3 percent of your overall daily value of calcium, 4 percent iron, 5 percent magnesium, 6 percent potassium, 7 percent vitamin B6 and 16 percent manganese. Sorghum syrup can be used the same as honey or maple syrup. Come out and meet Scott and Jennifer Glover, owners Mountain Fresh Creamery and Glo-Crest Dairy Farm on Thursday, August 1st at 3:30pm. We will take a tour of the dairy farm where you will see their 40 acres of lush rolling pastures that the cows graze on and watch the cows being milked. This is always fun for the kids to see in action! Then we will head up the road to the creamery to see the bottling operation. I’m hoping they’ll have some fresh ice cream too! Mountain Fresh Creamery provides the co-op with Low Temp Pasteurized milk, cream and butter. This is a wonderful opportunity to see where that delicious award winning milk comes from! This is a private, free tour offered exclusively to our co-op. An Evite went out today with event details and the address to the dairy farm. The dairy farm and creamery are both located in Clermont, GA about 45-50 minutes north of Suwanee. I hope you and your families can join us! Why choose Green Pasture Products? What are the benefits of Fermented Cod Liver Oil? How does it benefit my child’s health? From conception through adolescence, cod liver oil can provide developing children with what they need to thrive. Mothers who take cod liver oil during pregnancy and nursing protect their children from disease while providing them with important nutrients and fatty acids. For growing children, cod liver oil is important for healthy bones and teeth, as well as preventing common problems like ADHD. It’s also an excellent treatment for diaper rash and other skin conditions if used topically. Here is a link to an article about the benefit of cod liver oil and why it’s best taken with a high vitamin butter oil http://www.westonaprice.org/cod-liver-oil . I’ve been taking FLCO since October 2011 and I can honestly say that I have seen an improvement in my own health. My hair and nails are stronger than they’ve ever been. My hair hasn’t been this thick since my last pregnancy 6 years ago. My skin feels and looks better. I usually have small bumps on my upper arms and they have virtually disappeared. My hormone level seems more even and no mood swings. One member told me her vision has improved since taking FCLO. My son thinks it’s helped him learn how to read! He loves it and actually requests it. My daughter, on the other hand, takes it only because she knows it’s good for her. My neighbor just started taking FCLO last month. She is also a breast cancer survivor for almost 14 years but has suffered from lymphedema (swelling in arms and hands). She told me shortly after taking fermented cod liver oil blend gel she has seen a significant reduction in her swelling and sense of well being she hasn’t felt in years! If you have a testimony you’d like to share, please let me know. I’d love to know how others in our co-op have seen the benefits of taking this wonderful product! Rusty from Little Tots Estate has been blessed with an abundance of goat milk and would like to bless us with a special this week- Buy One, Get One Free! Find it under Weekly Specials! What to do with your extra goat milk? You can make goat milk yogurt, goat cheese, goat milk caramels, goat milk quiche, goat milk fudge, goat milk ice cream, goat milk kefir, goat milk soap, add to your favorite smoothie or you can simply freeze it for another time. Come out and meet Scott and Jennifer Glover, owners Mountain Fresh Creamery and Glo-Crest Dairy Farm on Thursday, August 1st! This is a private, free tour offered exclusively to our co-op. I will send an Evite with event details and the address to the dairy farm and creamery. 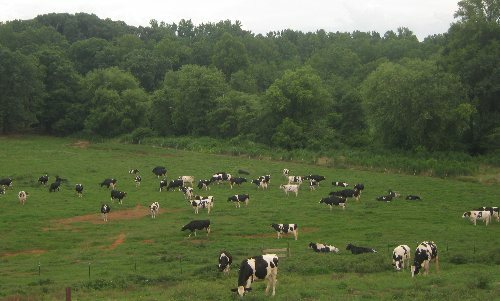 The dairy farm and creamery are both located in Clermont, GA about 45-50 minutes north of Suwanee. I hope you and your families can join us! I’ve decided to delay our Group Buy for Fermented Cod Liver Oil from Green Pasture for 1 week. I checked their website and they are out of stock on many items we usually order. We will now have the group buy on July 26 – July 28th. You may notice that JavaGenesis is no longer offering the Sumatra Lintong coffee. What happened to it? Coffee is an agricultural crop and just like the fantastic produce available now, coffee crops have seasons. When the coffee produced and picked for a season is gone, we have to wait until the next harvest season to buy into the new crop. This seasons crop of Sumatra Lintong is ripening on the trees now, but unfortunately has already been purchased by a single buyer. We will no longer be able to carry this coffee. The good news is that we found a great coffee with a similar flavor profile. The Java Ciwidey from West Java, Indonesia is a dark roast coffee with rich, bold flavor and medium body. We loved this coffee as soon as we tasted it on the cupping table. We think you will love it to!! 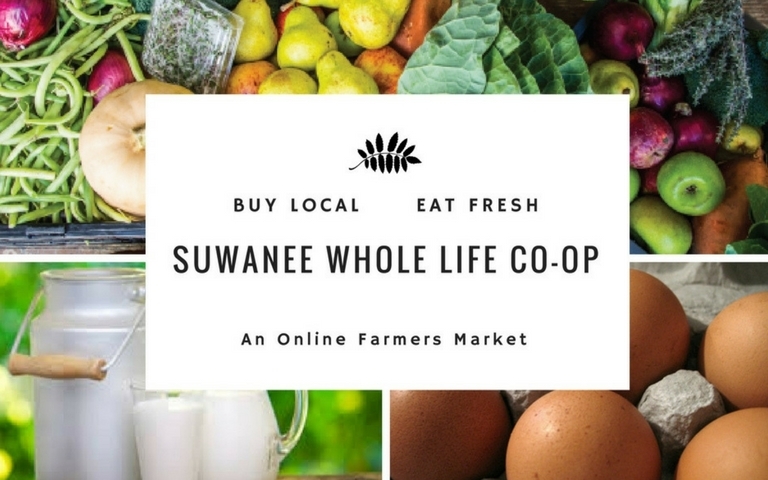 If you would like to taste any of our coffees, you can find us on Saturday mornings, 8am-noon, at the Suwanee Farmers Market. I’ve already met a few people who have stopped by and said hello. I usually have *5-6 different coffees brewed *so you will be able to taste several side-by-side to find a favorite. Hope to see you at the market! To help you plan and budget here is the tentative calendar of upcoming Group buys. Mountain Fresh Creamery just made a batch of fresh cream and it’s now listed on the market! Gallons and pints are available. Great for making your own homemade butter! Because it’s ice cream season, MFC only lists this occasionally during the summer months. Cream freezes well if you want to stock up. Please order before the 5pm deadline today. Here is this week’s news. This weekend we will be taking pre-orders for organic pantry items from Wilderness Family Naturals. These items include healthy oils, nuts, spices, cacao, grains, rice, coconut products, natural sweeteners and skin care products. Our buying club prices are significantly lower than their retail prices and include taxes, shipping and fees. Only items that are in stock as of today will be listed. I expect the order to be available for pick up in 2 weeks. If you will be on vacation when it comes in, I can hold your items since these items are non-perishable. As with all our group buys, this is a prepaid preorder. “Don’t cry over spilled milk.” The person who coined this phrase obviously doesn’t buy milk from the co-op! In an effort to make the milk from glass Mason jars a little easier to pour I have found an ingenious product- mason jar pour caps from reCap Mason Jars. One would think that Mason jars have been around since 1858 that there would be plenty of products that would solve this problem but this is the only one I could find. It is made of BPA-free plastic and designed to coordinate with the charming vintage zinc caps. Proudly made in the USA, spill-proof, top rack dishwasher safe and can be used on all wide mouth mason jars. “Shake, Pour, Store: – grains and cereals – maple syrup, honey, milk… – homemade dressing – household cleaners”. We were able to get bulk pricing and the caps are only $5.50 each and include shipping, taxes and fees.